You know those cute cartoons of an anthropomorphic heart and brain? Like, the brain is at work, but the heart is sooooooo boooooooored (even though it's only been like 10min). So they compromise and surf the internet for a while? Yeah, I'm telling it terribly, but I love those comics. They're done by The Awkward Yet. Well, They're running a Kickstarter campaign in order to make a game using those characters. 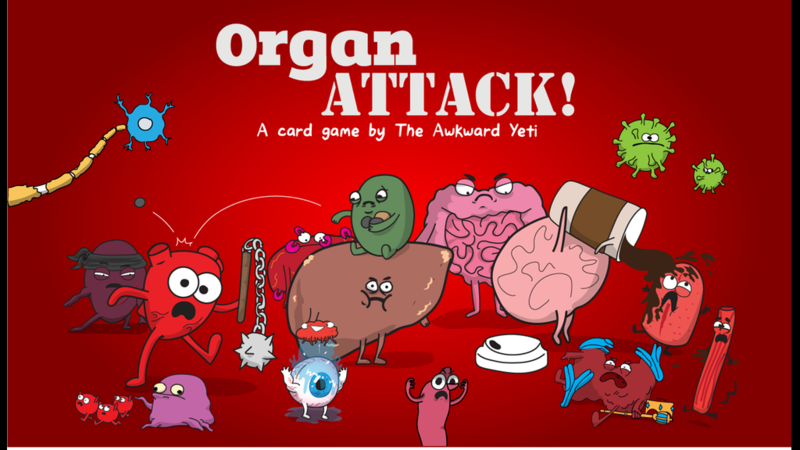 It's called OrganATTACK. In the game, players are looking to remove their opponent's organs before they, themselves, have all their organs removed (sounds almost... Zoidbergian). 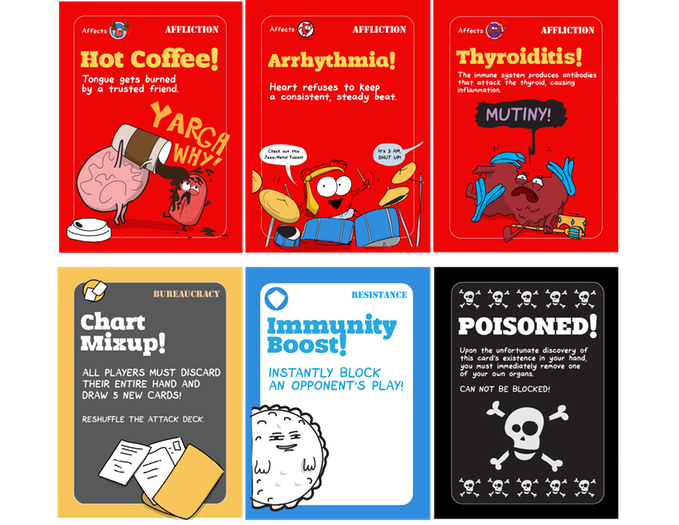 Players play affliction cards in order to remove your organs, but you can play defense cards in order to stop it. The game is quick to learn and fast to play. The campaign's doing rather well, having blown past their Kickstarter goal by... oh... they're closing in on 30x. And there's still 16 days to get in on the action if you want.